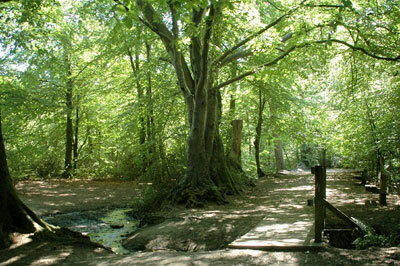 The Tree Warden Scheme is a national scheme run by the Tree Council. Anybody can become a Tree Warden if you have an interest in trees and the amount of involvement is left entirely up to you. Some of the things that tree wardens do include leading Tree Walks around areas and identifying trees for the people on the walk, planting new trees, giving talks on trees, pointing out damaged or diseased trees to the Arboricultural Department at Stockport, cataloguing trees in the areas, looking out for veteran trees. Courses on tree identification and tree diseases are run from within the Stockport Tree Wardens and they are also involved in a tree growing project, growing trees from seeds in the nursery at Woodbank Park.